This style of tooling incorporates pneumatic power to clamp and or encapsulate a part for safe handling. 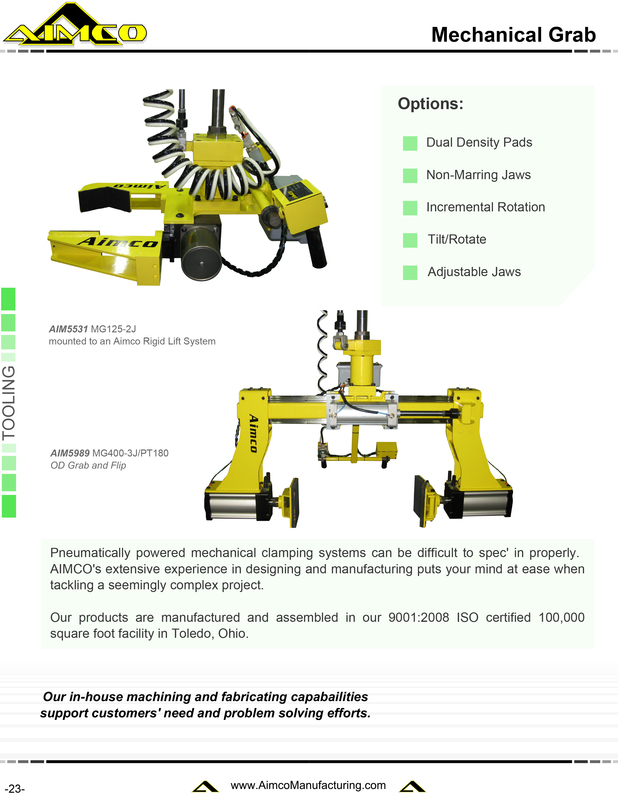 AIMCO's Mechanical Grab End Effector is the most versatile tooling style, utilizing custom jaws and grip pads to handle an array of parts with various surfaces. 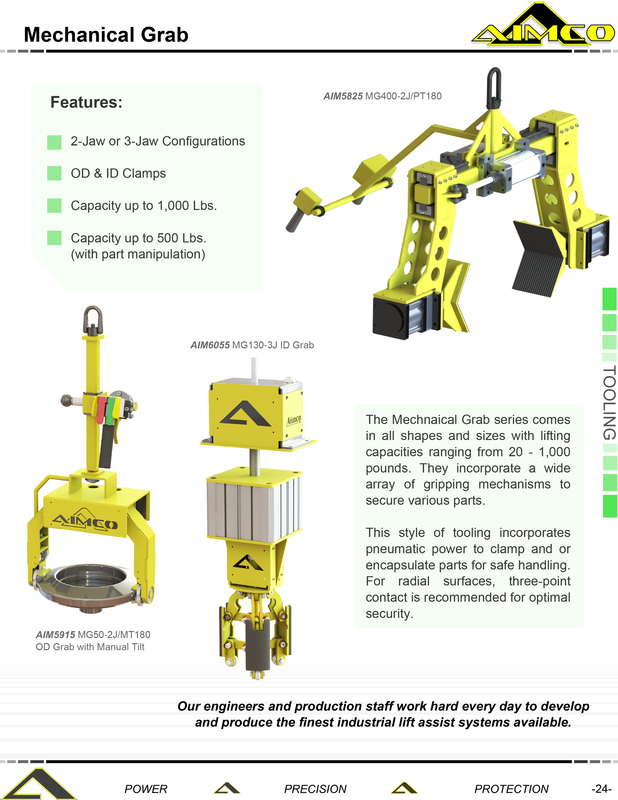 The Mechanical Grab series is a design intensive class that comes in a wide range of shapes and sizes; they can be difficult to properly spec’ in, however, AIMCO’s extensive experience in designing and manufacturing will yield tools that work, regardless of complexity. AIMCO provides control packages that are designed for reliable product handling and can be supplied to manipulate loads in a variety of ways. Loads can be tilted, rotated, inverted, or simply picked & placed. 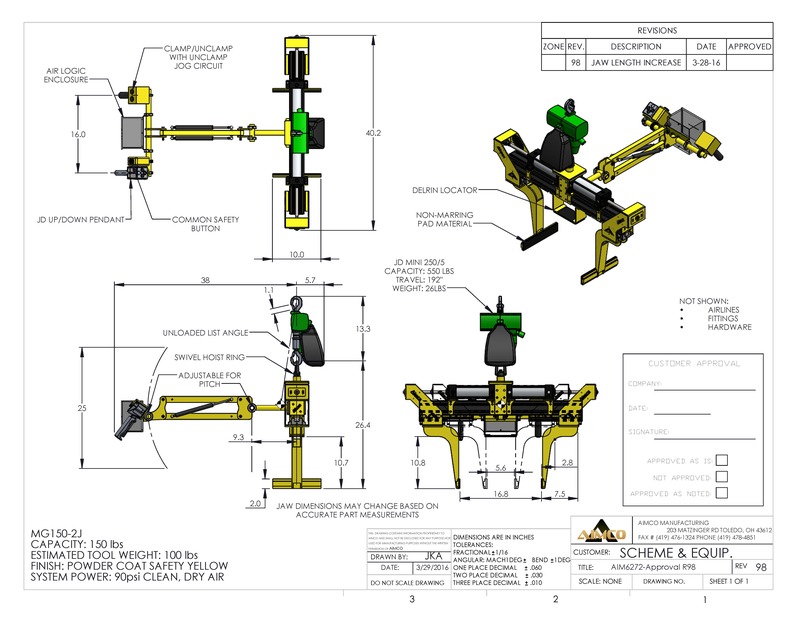 Browse through these images for some recent examples of AIMCO's Mechanical Grabs.